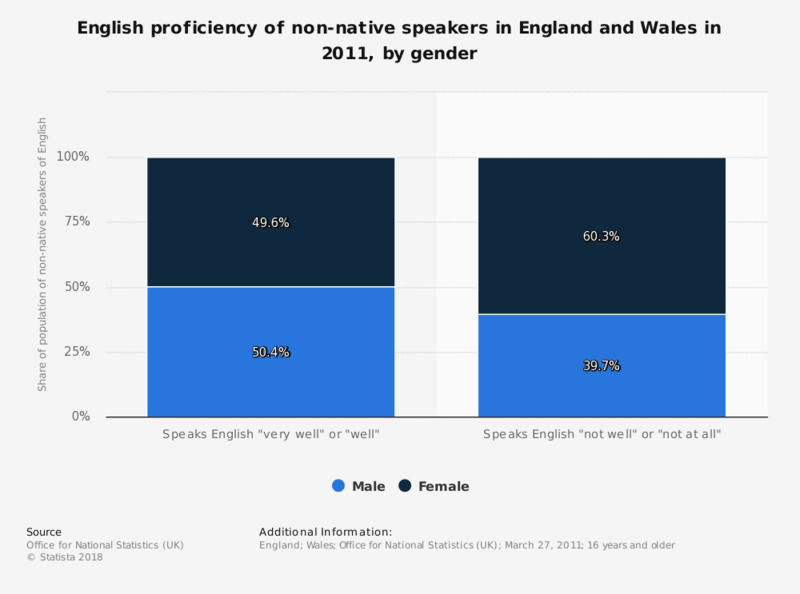 This statistic shows the English language proficiency of non-native speakers in England and Wales in 2011, by gender. In terms of those who spoke English "well" or "very well", the gender divide was roughly equal, but for those who spoke English "not well" or "not at all", there were far more females than males. Everything On "Languages in the United Kingdom (UK)" in One Document: Edited and Divided into Handy Chapters. Including Detailed References. Statistics on "Languages in the United Kingdom (UK)"
How important is the ability to speak Swedish? Is an immigrant who has become a citizen of Sweden and is fluent/not fluent in Swedish a real Swede? How important is being able to speak Italian for being truly Italian?